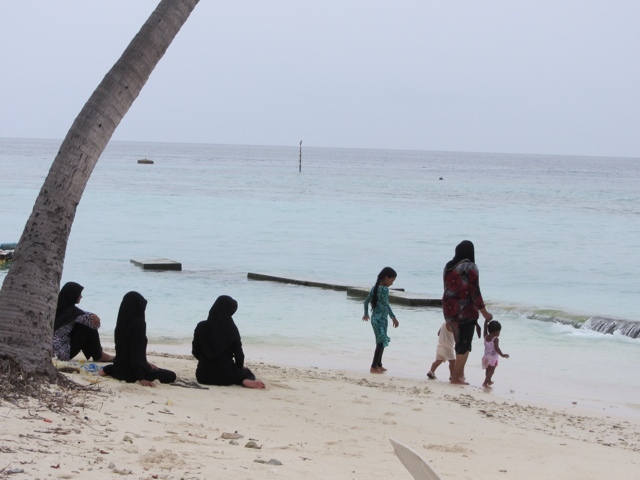 Women in the Maldives are prohibited by law from swimming in a bathing suit on most inhabited islands. 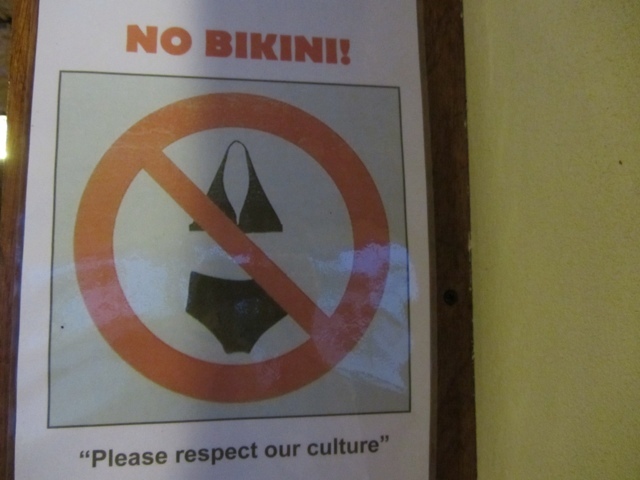 The only exception is on the resort islands, or islands owned by the resorts where foreigners are allowed to wear pretty much whatever they want. Most of those kind of resorts do not allow Maldivians to visit, so that foreigners are not "bothered" by their culture, and, I presume locals are not influenced or at the very least offended by the Western culture. This "covering up on the beach" thing was a little new for Summer and me and I ended up having to buy a suitable swimming shirt for our visit to the island of Gaafaru. My running anti-upper-thigh-chaff shorts would have to do for bottoms. This is a drawing of the most modest bikini I've ever seen. 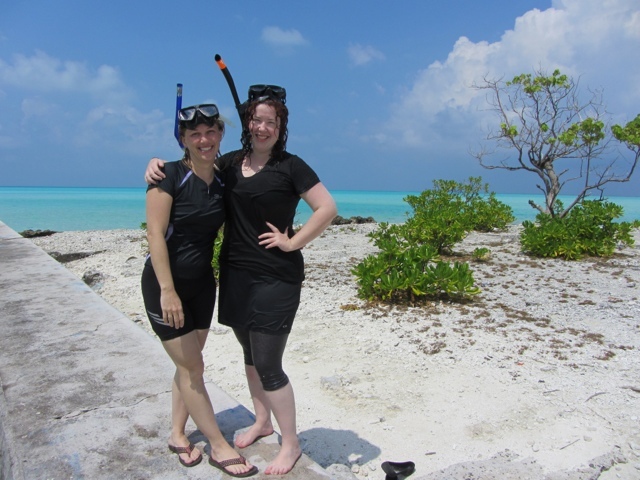 Our best effort at modest swimming attire. What you're supposed to wear. 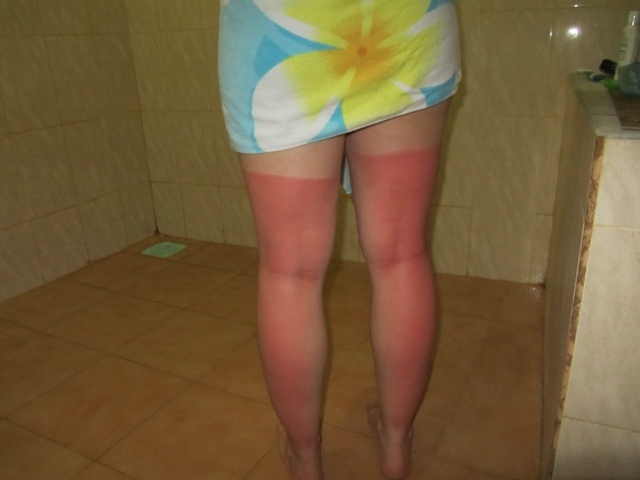 "Modesty" makes for some interesting tan lines. I'm sure those ladies were like, "that's what you get." But, come on! Why wouldn't the people of this country want to see me in a bikini?